Note: This page provides information on a Master's Degree in Education Administration. For details on degrees in educational leadership, please see our Master's in Educational Leadership and PhD in Educational Leadership pages. Education administration is a field of study regarding the process of directing the talents of faculty, staff, students, and even parents toward common educational goals. Administrators typically take on the role of school principal, vice principal, or coordinator within the educational system. However, administrators may also be found at the local, county, and state board level. Program accreditation is one of the first things you should inquire about. School accreditation is achieved by a process of peer review. The review must be done by an official organization or agency representing the field of education, such as the Council for the Accreditation of Educator Preparation (CAEP). Accreditation shows that an online college or university offers a high quality education. The US Department of Education offers more information about the accreditation process. It may be a good idea to find out how long the online program has been offered. As a general rule of thumb, the longer the better. Do keep in mind that online education is relatively new. However, you may want to reconsider if an online school has not been around long enough to gain full accreditation. Technology is a major component of online learning. Schools use different online learning platforms to facilitate instruction. Programs such as Moodle or Canvas act as virtual classrooms where students can access multimedia lectures, assignments, learning materials, and grades. Students can also collaborate and communicate with one another via online class message boards. Good schools often give students access to online resources like scholarly journals, videos, and research databases. Not all online school provide quality resources - that is why we recommend finding out about these resources beforehand. Good online schools will even give students access to support services such as technology assistance and advising. Reputable programs can present a thorough and organized curriculum upon request. Before committing to a school, become familiar with the program's learning outcomes -this is a list of skills, ideas, and knowledge that students are supposed to obtain as a result of completing the online Master's in Education Administration program. Assess the program goals to see how they relate to your personal goals. Alumni can often act as career guidance mentors. Find out how their online Master's Degree in Education Administration helped in their career. These are great resources to have, as you will be able to get advice from people who have completed the same exact program as you. If given the chance, ask for advice regarding online learning and what to do after the program to land the right job. Most programs require the master's of education administration candidate to hold a valid teaching license or provisional license in order to be accepted. In addition, most programs require a minimum of three to five years of certified teaching experience prior to entering the program. One of the most noted appeals of online schooling is flexibility. This means that students can complete their class requirements whenever and wherever most convenient - whether that's early in the morning before work, on a lunch break, or late at night after putting the kids to bed. Online schooling allows students to maintain and create their own daily schedules, rather than reorganizing their life around a class schedule. This is a great benefit for students who work full time and for those who have family responsibilities. Online degree programs allow students to complete requirements regardless of geographic location. 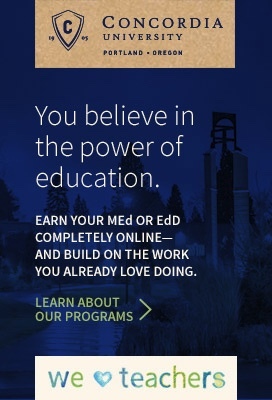 Students can participate in a degree program virtually from anywhere in the world - all you will need is a secure computer and internet connection. Since physical attendance is not required, this also opens up opportunities for students with physical disabilities and scheduling restrictions. In many cases, students have reported that online courses are easier to concentrate in - since there are less distractions from other students and classroom activity. Often, students who thrive in online degree programs are self-starters. Without much external influence, such students are able to remain organized, plan studies, and stay on top of their assignments. For other students, physical interaction may be necessary for success. Take a minute to reflect on the type of learner you are. If you are able to motivate yourself, you may find great success in an online learning environment. No costs associated with commuting, parking, or on-campus dining. No fees related to moving, relocating, or living close to campus. Students can continue to work in order to maintain a source of income. Many programs offer financial aid and loans through FAFSA. In addition, some scholarships and grants are available through various organizations to curb costs. This class will provide you with an in-depth look at the type of budget and spending that is likely within a school system. This will also cover the legalities of spending and leadership within an educational institution. All administrators must plan ahead to keep things running smoothly, yet advancing within their schools. This class will help you learn the techniques to best lead within an educational institution. Management of people, especially such large numbers of teachers, students, and staff can be daunting. This class will help you learn the basics of leadership while keeping a school running smoothly. Professional organizations and associations in this field are intended to assist school administrators succeed in their districts. Industry conferences and events bring together like minded professionals. The AASA, School Superintendents Association, focuses on the importance of collaboration as a means to improve and benefit the schools and children they serve.